OPPOSITION National Democratic Congress (NDC) has won its first parliamentary seat in Roan Constituency of Luanshya district while PF has retained the Bahati seat. Roan Returning Officer Emmanuel Makulila declared Chishala as the duly elected Member of Parliament for Roan at 02:17 hours this morning. A total of 14,701 votes were cast while 150 ballot papers were rejected. And speaking after being declared winner, Chishala thanked his party for the opportunity while pledging to represent interests of the people that elected him into office. He called on the people of Roan to remain united and work with him for the betterment of the constituency. And United Party for National Development Copperbelt Chairperson Elisa Matambo said the Roan results had clearly shown that once united the people of Zambia can be liberated. Matambo said the country need the unity in order for the people of Zambia to be liberated. He said that this is the beginning of the liberation of Zambians as set out by the people of Roan. 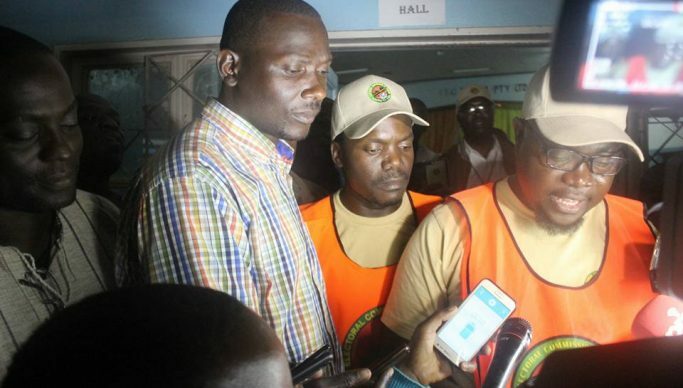 Meanwhile, Patriotic Front has retained the Bahati seat with its candidate Charles Chalwe getting a run-away 11, 481 votes while his closest rival Justine Bwalya of the United Party for National Development managed 2, 381. United Progressive and Prosperous Party (UPPZ) candidate Clement Mwila got 1, 337 votes with Emmanuel Chalwe of FDD receiving 205 votes while tail-ender Isaac Lukwesa of the People’s Alliance for Change got 176 votes.